Events and conferences are always a great learning experience. Sandeep and I attended Social Media Week in Bangalore last month. Sandeep also attended the Construkt festival. Here are a few takeaway points from both events. The highlight of the talk for me was about making content that can be consumed easily, easy to understand and worth sharing. ..Just like a snack that is tasty and easy to grab a bite on the go. How should you structure it? 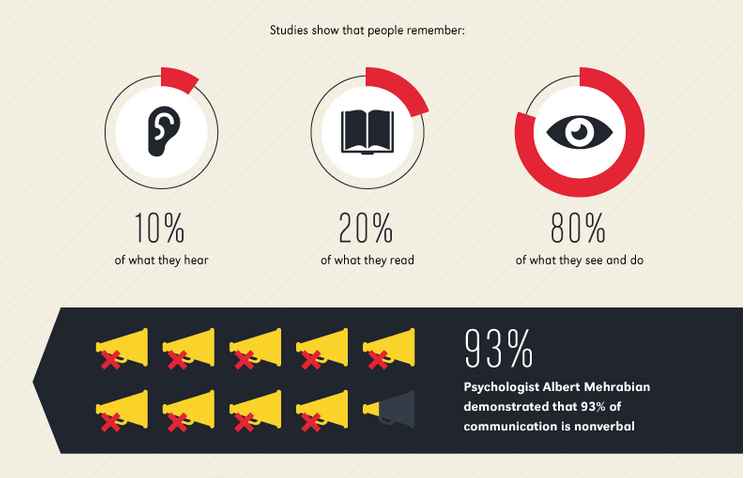 Humans tend to remember 80% of what they see whereas they remember only 10% of what they hear and try to learn.This means the content that you present should be visually appealing and catchy. One important point to note is that just because the content is shared does not necessarily mean that it has been read. Most people quickly read the heading and hit the ‘share’ button even before actually reading the article. So does that make a content with a lot of likes/shares credible? It is a debatable topic. It is important to build your blog’s credibility. The ideal length of a blog post is about 1,600 words and worth 7 minutes of the reader’s time. YES! 7 minutes does seem long, but stats prove that to be the average time one spends on a post. Consumer needs, have to be your sole goal! The content creation and matter will keep changing but what is constant is the CONSUMER NEED. Understanding the stage of life cycle your consumer falls in and directing the content relevant is the key. Check out this video about a customer service that was really inspiring. This includes the core philosophy of what drives the company and the brand. What is it that your customers feel and believe? If so, why? The target audience and the influencer go hand in hand. Influencer is the one that has the direct effect on the buyer persona. The influencer marketing for 2015 an article by Forbes shows us how it’s not just an individual having an influence, but we are moving on to influencer platforms as we move into this heavily digital age. You know your audience, now there will be a faint line between each person and their beliefs. Within your buyer personas classify them based on factors such as likes, age, profession, etc hence the approach will vary slightly between them. Have a pool of idea that your potential buyers are targeting. Have 3-4 thoughts that the audience will find relevant and attack those topics as your digital marketing strategy. Make a clear cut variation in each content that goes online. Get an editorial calendar and assign particular blogs to go out on certain days targeted at a certain type of customers. The way you present your content has to be toned. The hashtags would vary. The way you post a blog on LinkedIn (which is a professional platform) will differ from how you publish the same blog on facebook. Take the time to tone your publishing statement to cater to the readers. A social media plan never takes a vacation. If there are outdated articles the engagement levels will naturally go down. There are number of apps such as Buffer and Hootsuite that lets you schedule your content when it has to go out. This way you can plan the dates and publish them accordingly. Have a set number of blogs that you would publish and when. This way your followers can keep track of when to expect the next blog. Everyone appreciates a unique change from the monotonous. Content that is different will rank well and have better SEO. SEO work involves more logic than a technical background. It is important to realise that today the organic results are the #1 in conversion rates. Having a great structure to your site is crucial. You want your visitor to cruise through the pages and blogs with ease. They need to find themselves liking the content and whatever it is that you have to offer. Here comes the need to flatten your website. The customers need to find what they are looking for with minimal clicks. To earn the trust of your reader’s it is advisable that you link the post to good and relevant articles and stats. Thus increasing the popularity and importance of your blog. We keep hearing that content is king, and it is true. It is your content that has the right keywords to draw the attention and boost SEO. Here are some SEO basics. SEO and social media go hand in hand of being great inbound marketing strategy. The important target matter should be the heading, subheading, link and meta description. Content marketing also includes the eligible candidate to have a flare for English. Engage the community in what they WANT. You should be able to pinpoint what it is that your audience that YOU are targetting are really looking for. Your audience searches for your content to find something that will provide them the right answers. They want something that understands them, helps them and guides them. Make your brand that. Something, correction ‘someone’ that will pull them up and lead them to the right path. Your brand can be their angels in disguise. Hubspot gives you 12 ways to humanise your brand. Microsites are different from your main website and are a great place to have focussed discussions. They can prove very useful for the two-way communication with your audience. It takes away any distraction from other topics of discussion. Microsites can also serve as a platform to try different marketing techniques. Here are 5 brilliant micro sites to check out and also have a microsite strategy in place. COMMUNICATION through different CHANNELS improves CONNECTIONS, that you create with your audience. Explain your brand in one word or phrase and then word around it. Understanding the trend sentiments is very important. I’ll start with the most interesting session I attended from both the events. Nilenso ran a session on technology cooperative. It’s a 12 member company as of today with the most interesting legal and organisational structure for a small company that I know off. Nilenso works as a co-op, where each member owns a share of the company. The share though is only notional. Every new member gets a share on entry, but nothing on exit. Main form of remuneration is via salaries. Shares are for denoting ownership of the company, and not to give out equity. Since Indian laws don’t allow co-ops to work as for profits unlike in other countries, Nilenso has structured themselves around a LLP/partnership agreement. Redistributed on entry, lost on exit. Equal ownership. They like to think of their organisation as a structured democracy. Decisions are taken based on consensus. When it’s a major decision, like salary or financial, then it requires 2/3rds majority. They also spoke of publishing the details of the organizational structure and how they work for others to use, modify and apply to their own companies. What if an employee quits? What happens during an acquisition? Follow Shyam on Twitter for more insights on managing consumer relationships. I only caught the last part of Srini’s passionate talk on the last day of SMWBangalore at Leela Palace. Srini worked as a Teach For India Fellow, who launched the Chennai chapter and managed the Facebook page for the organization. The most obvious thing that stood out for me was the drive and passion to give the best possible learning experience for his students and the dedication to his job, which meant he learned about social media, experimented and improved on lots of things and built a big fan base for TFI. Also discovering products and tools in the process that he could use for free to market his organization. Animoto was one such example which is a cool app that lets you create, edit and publish videos right from a mobile phone. Build a network, not an account. Building relationships will outlast twitter itself. Twitter should be a means to an end. Twitter has more listeners than tweeters. Know what you’re talking about, because you will get found out. 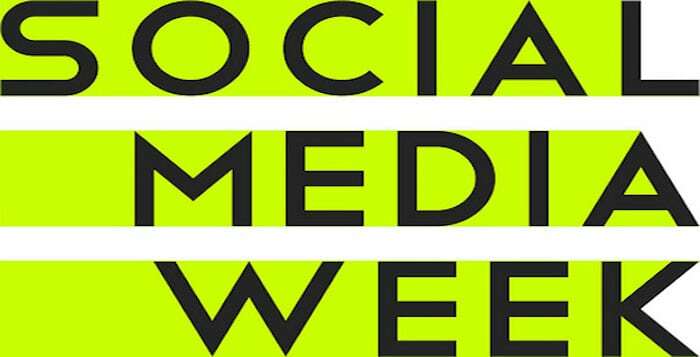 What was the most interesting insight you gained while attending Social Media Week Bangalore or the Construkt Festival? We’d love to hear.